I’ve got about 30 many-paned windows in my shed. They come from an old house that was knocked down last year. Each window has 8 panes and the glass is beautiful (green as well as clear embossed). My problem is that the idiots who put the walls in my bedroom made the holes to big for the windows. I now have 5 HUGE windows in my bedroom, but I’ll never pass inspection because the glass has to be cyclone rated (and the glass in the windows at the moment is old and thin). if I could get the many-paned windows in I would pass inspection because the glass is thick enough for cyclone rating. Now I’m just rambling on, but it’s something I look at every day and wonder how I can fix it…. I don’t like the pink flamingos. I have wagon wheels in my yard, but they’re real ones. The worst ‘faux house’ I ever saw was one we rented several years ago. It was a beautiful old cottage in a heritage listed area. When we moved out they knocked the whole thing down and just left the front facade (held up with stilts like one of those wild west movie sets). They were allowed to ‘upgrade’ the house without changing it’s view from the street. They built a massive ugly modern house behind the ‘cottage’ facade. It was hideous. 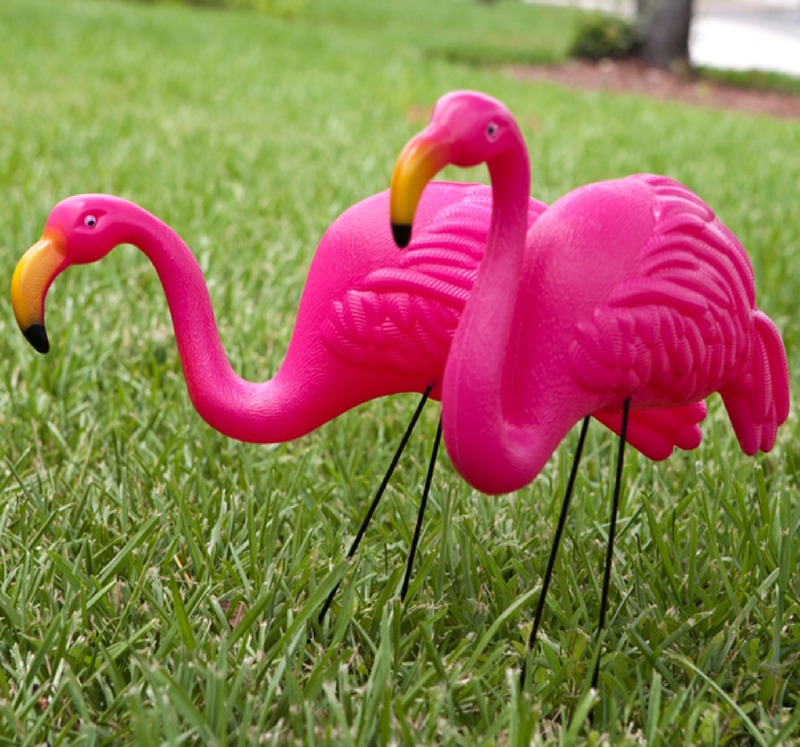 I have been known to plant pink flamingoes onto the lawns of unsuspecting good friends. In college, I used to put them on the front yards of ugly mansions (like the one hiding behind the facade of your old cottage.) Maybe it was the result of too much beer, but I thought it was just poor tastes finding like minded homes. If I recall correctly, large panes were much more expensive too. One way to tell who had money in the 19th Century (or at least who spent it) is to look at the size of the window panes on their homes. I’m with you on the fake muntins. Now it’s less expensive (I think) to put in larger panes, but we use fake dividers to make them seem smaller. I don’t like it, but I admit we have them on the large window in our house.